We offer coaches and consultants a 3-year agreement, which enables them to make use of the innovative software 24/7, and to obtain education and guidance to use it as effectively as possible throughout the contract period. The Level Five Quaning software package and its result-oriented user methodology enables coaches and consultants to make quick, spot-on analyses of and interventions on both personal and business issues. Using the software leads to faster and more sustainable results for both their customers and their own business. Why do we need your investment? Currently 11 consultants adopted our software and signed the 3-year agreement. The feedback of the current coaches and consultants is very positive and they have obtained great results. In order to expand we need your investment! The required capital of € 50.000 will be used to optimize our business, to do solid marketing and sales and to further implement this business concept to the Dutch and international market. Your investment will make it possible to grow and achieve approximately 100 new customers in the upcoming year. - We strive to pay a fixed, cummulative, dividend of 5% per year per nominal share. - We strive to increase the value of the shares within 5 years up to €100. - And a book, presentation or workshop (depending on your investment). 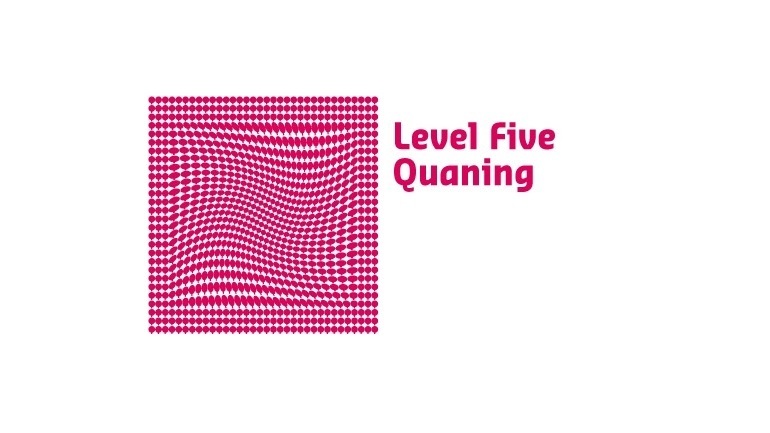 Level Five Quaning offers partnerships for Professional Partners and for Master Partners. Professional Partners are organizations or independent professionals, who close an agreement with Level Five Quaning and appoint one or several Quaners, who will use the Quaning methodology with the software. The 3-year agreement we offer Professional Partners contains a.o. education to use the Quaning methodology and the software, a personal Quaning Program, 24/7 use of the software, peer-to-peer meetings, Quaning helpdesk. Quaning is a guiding process between Quaner and Quanee. It is coaching, consulting and training in 1 and more, because on a quantum-level: Quan-ing. Traditional methodologies work linear at the level of beliefs, behavior and skills within the visible world. Quaning works on the level of awareness, is non-linear and translates information from the invisible to the visible world. The Quaning Communicator, the laptop on which the software works, forms an important part of the Quaning methodology. The software taps into the realm of invisible dimensions objectively, in order to discover barriers, patterns, and accomplish change. The Quaning Communicator shows these analyses results on the laptop screen immediately. Than they will be discussed between Quaner and Quanee, come to awareness, after which the software can perform an intervention to optimize the alignment accordingly. Any case can be put forward, any subject, both on personal and organizational issues. The investment for a Quaner is a startfee and a monthly fee during an agreement period of 3 years. - Use of a niche methodology, fitting the current paradigm shift. - Make the invisible visible with contemporary means of communication. - Guiding personal and business cases. - User independent, quick analysis and optimization at information field level. - For individuals, teams and organizations, at each level, from every angle, with any purpose. - Easy functionality adding customer specific items to own database. - Offer and deliver guidance with result guarantee. - Education and peer-to-peer meetings included. - Including Quaning Sessions for personal development. - Sales and marketing support on acquisition. Master Partners have the exclusive right to develop the Level Five Quaning brand within their territory. A territory is considered a country or a part of a large country. Master Partners thoroughly understand the character and customs of consumers in their country and the nature of their local marketplace. By integrating this knowledge with the brand and business, they support the global community of Level Five Quaning. The Master Partner agreement will be closed with a partner who meets a certain profile. Depending on the size of the country the Master Partner will have the rights for a whole country or a region. His financial contribution will be determined based on this size. Level Five Quaning focuses primarily on high quality coaches and consultants in the Netherlands and Dutch-speaking Belgium. The software can also be easily used by other professional groups, like mediators, HR professionals, entrepreneurs, advisors. Characteristic of Level Five Quaning Partners is a broad interest, involvement and awareness of own contribution, focusing on a working result in guiding people and organizations. Our target group can operate independently and as an employee in an organization. In the Netherlands and Belgium, there are working about 100,000 coaches and consultants. Our goal is to have about 1.5% as customer within 5 years. Together with a Master Partner in the New York area and a Master Partner in the California region, we will make a start to roll out the concept globally. These regions employ about 270.000 coaches and consultants. The aim is to serve about 1% as customer within five years. - introduction by current ambassadors like Quanees and Quaners creating new ambassadors. - QuaningExperience for coaches and consultants: a 7 week Quaning program to decide whether or not to become a Professional Partner (fixed period, fixed price, with result guarantee). By doing this we will be able to achieve our goals. The attached Infographic gives you information about the finances at a glance. For more information on Profit & Loss and Cashflow 2013-2015 please check the attachments. We want to retrieve the first financing tranche of Eur. 50,000 from the crowdfunding platform Symbid. We foresee the next financing tranche at the end of 2013 and is intended for further international expansion. For this we consider crowdfunding with an American partner or informal investor. As crowdinvestors you invest in Level Five Quaning at an early stage of the company. We like to reward your early investment with a relatively high amount of equity of 5%. Next to this we strive to pay a fixed, cummulative, dividend of 5% per year per nominal share. We also strive to increase the value of the shares within 5 years up to €100. - € 1.000: you will receive a Quaning program or a workshop or presentation to a group of people that you invite yourself. Are you the top investor, then the position in the Supervisory Board, to represent all crowdfunders, is yours.